Summer is here, gas prices are low, and road trip season is upon us. 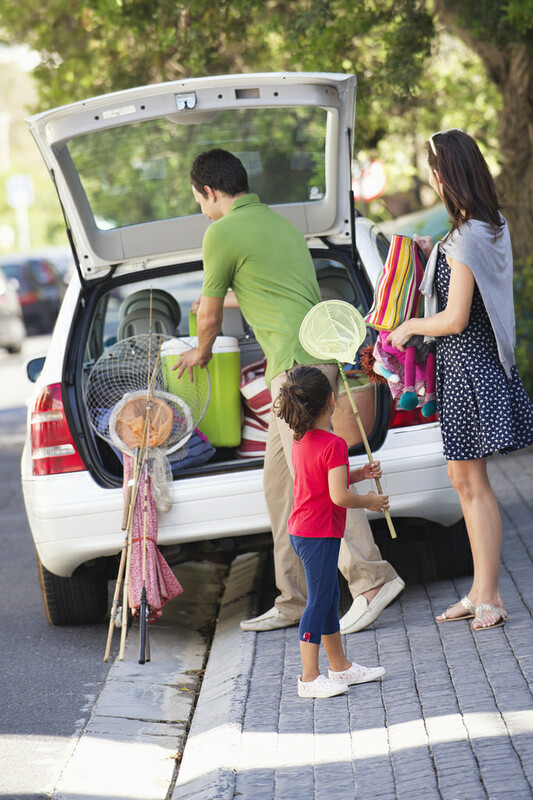 Here’s a list of tips to make the drive easier with small passengers. Plan for extra time. If you have to be at your destination by a certain time, add in some buffer so everyone is less stressed. Plan out the rest stops before you leave, and pack plenty of snacks and drinks. Consider driving at night or during nap time. Packing the night before means little hands, feet, and voices won’t get in the way of the job, and leaving the next morning is just a matter of getting dressed, grabbing breakfast, and getting in the car. Pack a bag of tricks of games or toys special for the road trip. Road Trip Bingo, new books, sticker or coloring books, and a new iPad or Kindle game are all good choices. Speaking of electronic devices, make sure they are all charged and the chargers are also packed. Have some fun and make a car playlist. Dress your little loves in layers – and maybe even their PJs. Pack their pillows and stuffed animals to snuggle with. Consider bringing a potty chair for potty training toddlers or recently-trained pre-schoolers. BONUS TIP: Some kiddos are afraid of automatic flushing toilets. Bring along large square stickers to cover the eye of the auto flusher while your child is sitting on the seat. When they are done, just take off the sticker and throw it away. Cool off the car with the air conditioning before you load your babies in. Make sure you have shades on the windows for infants. We find the sticky ones work best. Consider getting the car serviced beforehand. Last, anytime is a great time to make sure the car seat straps are adjusted properly. Read our car seat safety post, here! « Celebrating Safely this 4th of July!